Syrian refugees wait around a truck where a volunteer is distributing water and soap in Akcakale on the border between Turkey and Syria. 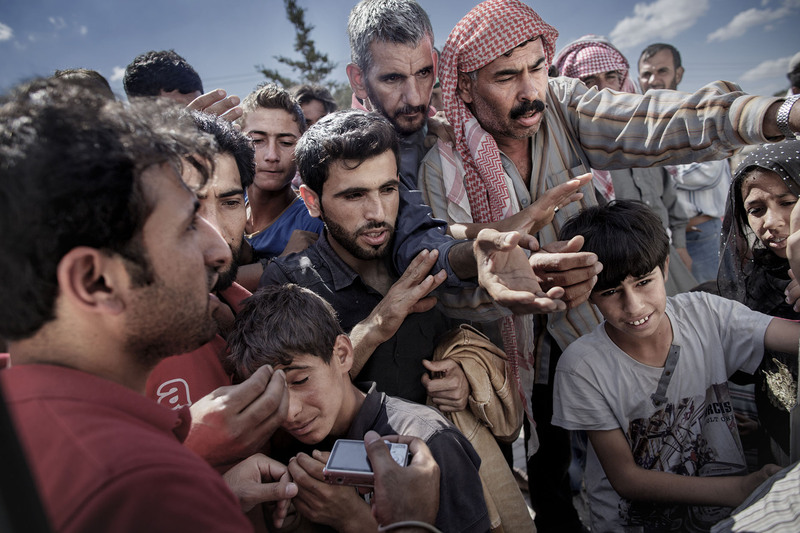 Thousands of refugees have been crossing from Syria into Turkey to escape the violence of the civil war. Many start their journey to northern Europe here.